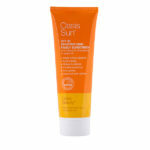 Oasis Sun sunscreen is a broad-spectrum family sunscreen without the nasty chemicals! 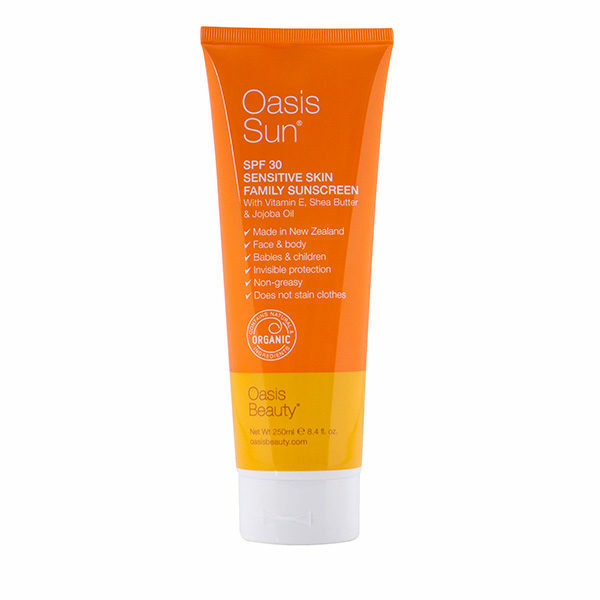 Oasis Sun SPF30+ sunscreen contains certified organic shea butter, jojoba oil, soya lecithin and non-GMO natural Vitamin E as natural UV blockers that also moisturise against wind, water and sunlight. Oasis Sun sunscreen is approved by the Eczema Association of New Zealand! Directions: Apply liberally to all exposed areas of skin at least 10-15 minutes before going outside. Reapply regularly, especially after swimming or excessive perspiration. Keep away from eye area.